With this option, the email address of the current user will be retrieved and entered as the sending address. The email address of the user, who has most recently saved the application to which the process belongs, will be used. With this option, a static email address of your choice can be entered. 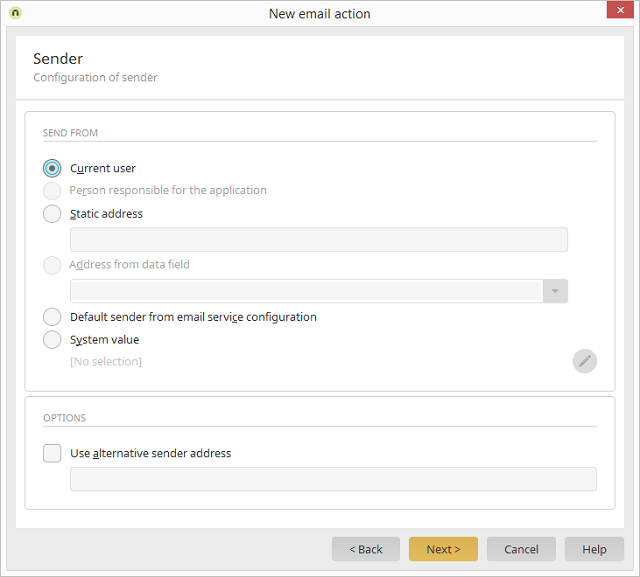 This option allows a data field to be used as a dynamic sender list. With this option, system values can be used as the source of the email addresses. This option can be used to specify an address which will be used when an email address is not defined or when errors occur.